This comfy unisex pajama set bundle is perfect for matching family photos, holiday parties, special events and so much more. Customize the t-shirt with your very own design or even upload a favorite photo to create something unique and one of a kind. 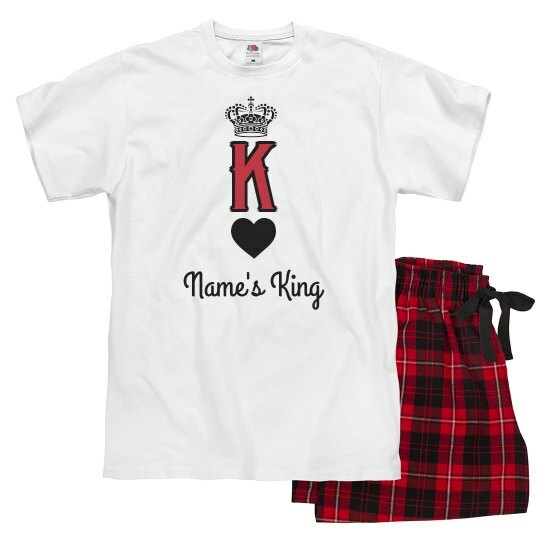 Go matchy matchy with your Queen of Hearts even when it's time to go to bed with these custom couple pajamas. These matching pajamas are perfect for when Valentine's day roll in to feel the love all around the room.